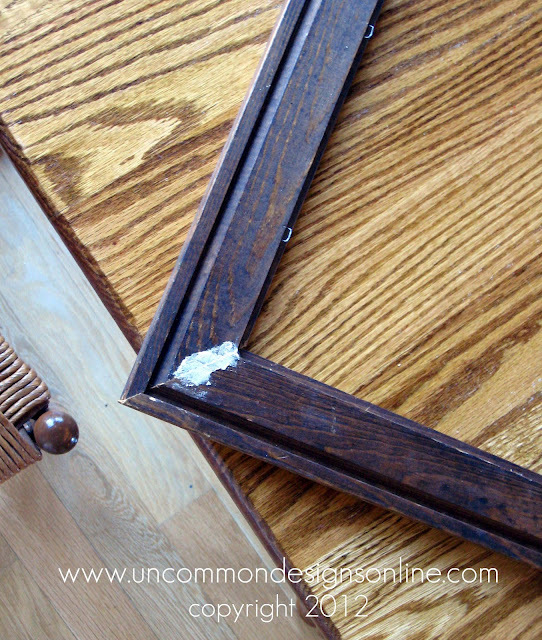 ﻿ The Good Life Blog | Guest Post from Bonnie at Uncommon! 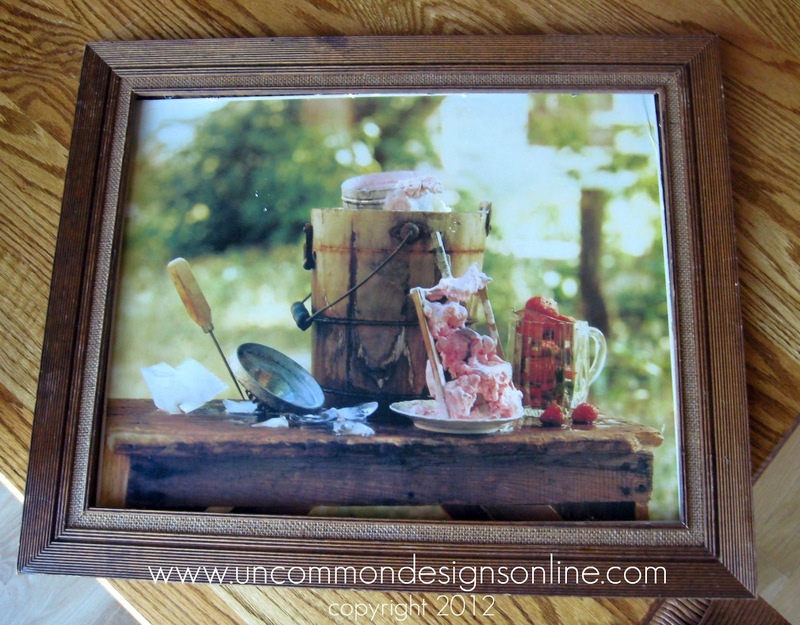 Guest Post from Bonnie at Uncommon! Trish and I are excited to be guest posting today at The Good Life. 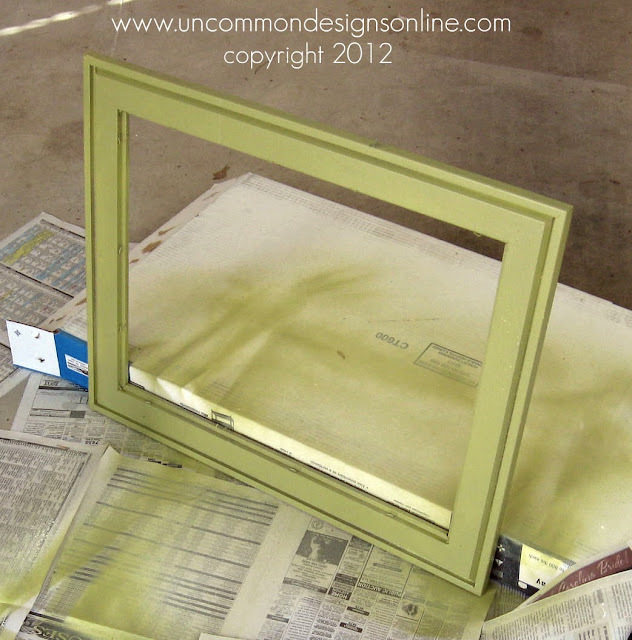 We blog over at Uncommon where we show you how to “create the extraordinary”! When Kendra contacted us about guest posting, we were thrilled. Goodwill is such a great place to find unique items to transform into something new. Trish and I visit Goodwill with different “glasses” on than we would have in a traditional store, it is less about what we see that we need or want, and more about how can we take something plain and turn it into something great! I chose a vibrant “avocado” color by Krylon! I love the way it just pops and can be used for so many different occasions! 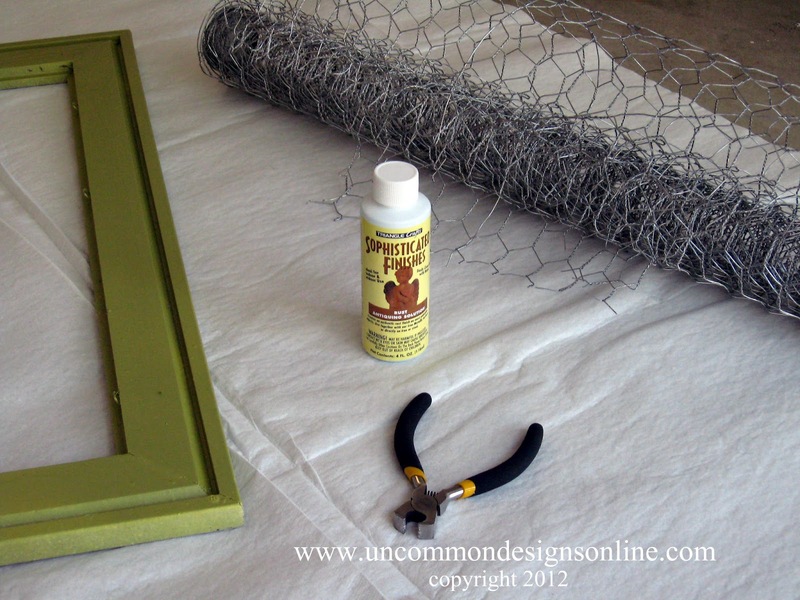 I followed a great tutorial from Brown Paper Packages on how to attach the chicken wire to the frame. I would highly suggest gloves!! I may or may not have needed a few band aids during this project. I loved the way it looked at this point, but I wanted a more “aged” look! This is where that Sophisticated Finishes product comes into play. 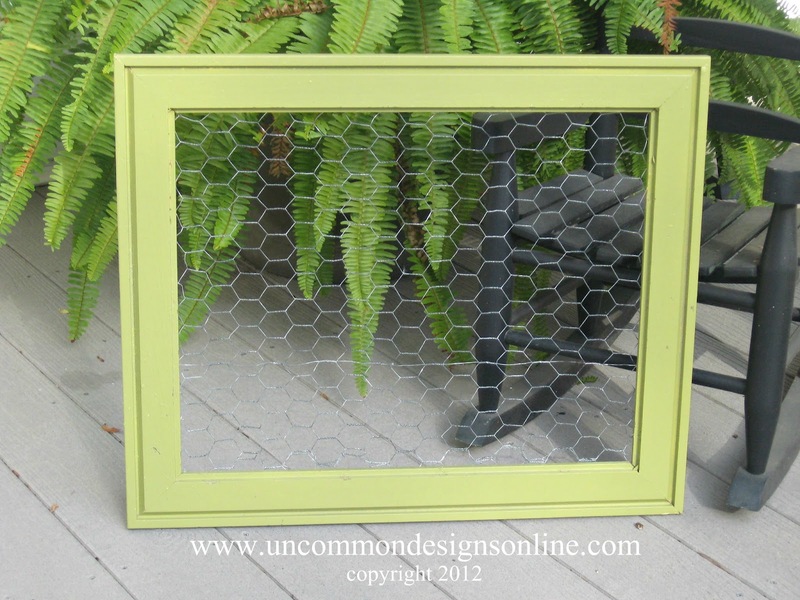 I had seen a great tutorial over at Homeroad on how to “rust” chicken wire. This stuff worked great! I simply dabbed it on the chicken wire and, presto, instant dark aging! 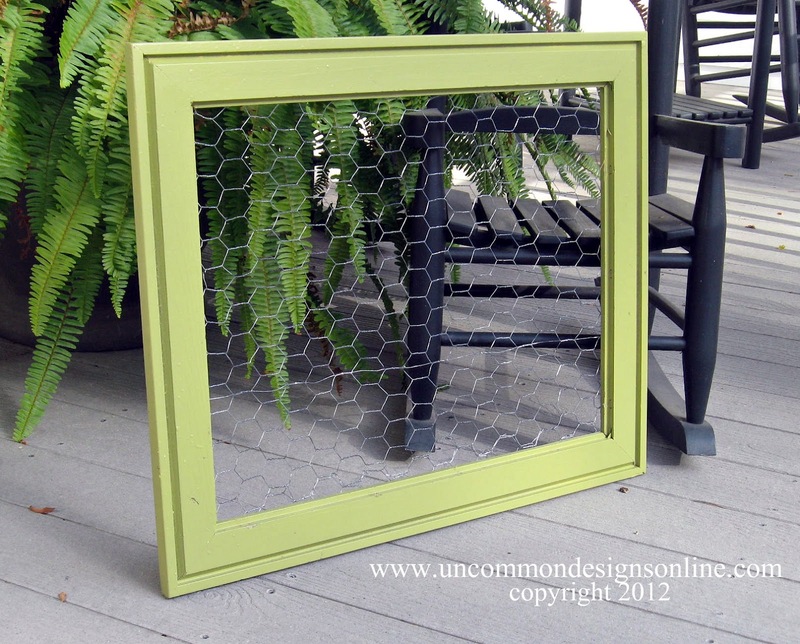 I know it is hard to see a difference in these photos, but it really does take the sheen off the chicken wire. Now all I have to do is hang my saweet “new” bulletin board and add clothespins to hang little notes, photos, and mini masterpieces by my children! Trish and I hope that you have enjoyed our little “trip” to Goodwill. Really, such a great place to both donate to and shop from. Try it, you’ll be hooked! Thank you Kendra, for having us today at The Good Life! We hope that you will visit us at Uncommon ! You can also find us on Facebook and Twitter ! Guest Post by The ReFashionista: Huzzah for Half-Off Day at The Goodwill Clearance Center! Thanks for sharing! Fantastic post! This was a fantastic idea, and so unique! I think so, too! So creative! So cute! Love the springy green and the chicken wire really makes it fun and functional to pop notes and such up!